Oversight Act? How worried should you be? Wild Horse Education is receiving multiple emails that have a “panic” tone regarding the “Wild Horse Oversight Act” proposed by Rep. Chris Stewart and Sen. Orrin Hatch. This piece of grandstanding asserts that states and tribes should oversee federal management of wild horses. The entities that send wild horses to slaughter want to oversee the management of federally protected horses. (This is so absurd but it runs right along with the current political polka). The first thing we need to express to you is watch your reactions. There are subjects that you must react quickly to with passion and there are others that are well… have the capacity to draw you into a fight that takes your time and energy away from more effective battles that will defeat multiple threats. If you have ever seen “Star Wars,” remember Yoda: Yes, run! Yes, a Jedi’s strength flows from the Force. But beware of the dark side. Anger, fear, aggression; the dark side of the Force are they. Easily they flow, quick to join you in a fight. If once you start down the dark path, forever will it dominate your destiny, consume you it will, as it did Obi-Wan’s apprentice. The bill is a part of the political pandering that goes along with any election year. A big agenda item heading into 2016 is “State’s Rights.” States are trying hard to use the “big bad federal government” cliche to tap into a larger discontent. The dysfunction of the handling of public land actually fuels these claims… but the reality is that the dysfunction is largely due to the lobbyists that represent the exact interests pushing the state right agenda. Political polka. Think about it. Why are our rangelands pounded to dust? Because of the influence of western politicians that are in the pocket of the livestock industry cutting and bending any regulations designed to protect our rangeland. States see a huge profit line in selling your public land to mining (think about land given over to states and the hands it now resides in). Those pushing this agenda are the exact interests that have hurt your public resources and want more power… and not just over wild horses. Currently this bill has NO cosponsors. The current bill is a resurrection of the bill that failed last year (5058). Remember in 1971 the Wild Free Roaming Horses and Burros Act was passed to curtail “mustanging.” Mustanging was a brutal practice of running horses to collapse in the West and then grinding them up for fertilizer, chicken feed and dog food at a profit that many have resented being taken from them. Efforts to begin mustanging have been alive ever since the Act was passed. We are not saying that this effort is one to ignore, we are saying it must be seen in context. If you miss the context you may fall prey to the “big bad government” spin being thrown at you in multiple forms and inadvertently find yourself supporting this agenda. Be careful of what you support as the election gets closer… because agendas are broad. One of the McDermitt Reservation horses at the slaughter auction. A sovereign nation, like tribal authorities, have no business being involved in managing a federally protected resource when they can not even take care of their own. We saw this in spades over the last few years. As the “Grass March” began (without even putting their agenda on their website) many jumped on the “Bad BLM” bandwagon without thinking first. Romantic notions of the “poor American” under the thumb of big government was extraordinary propaganda that gained momentum but on close inspection was actually a representative of the push back against any type of enforcement of existing policy to curtail a very spoiled few. As wild horse advocacy also keeps repeating soundbites associated with the past like catch phrases “accelerated removals” and “Stop BLM slaughter of wild horses” we create a population of vulnerable advocates instead of a strong voice for protection of wild horses on a healthy rangeland. 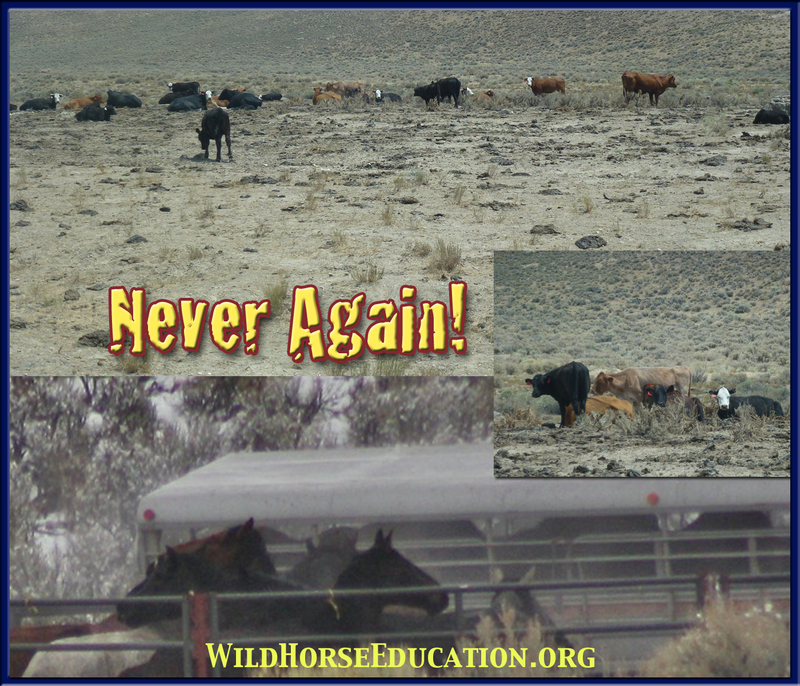 Wild Horse Education is on the range gaining specific information to use to protect our wild horses and burros. An educated advocacy is more important than ever. 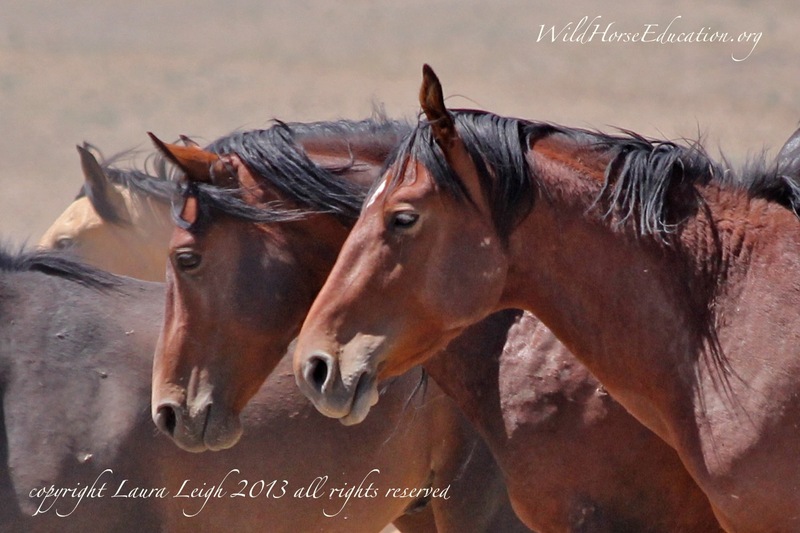 Wild Horses: How Do They See Me?